There is no doubt the tourism industry is growing. Last year, the Rolex made headlines as one of the fastest growing foods in Uganda. This is one of the reasons that prompted the Minister of State for Tourism Godfrey Kiwanda to hold a rolex festival and it was a great success. 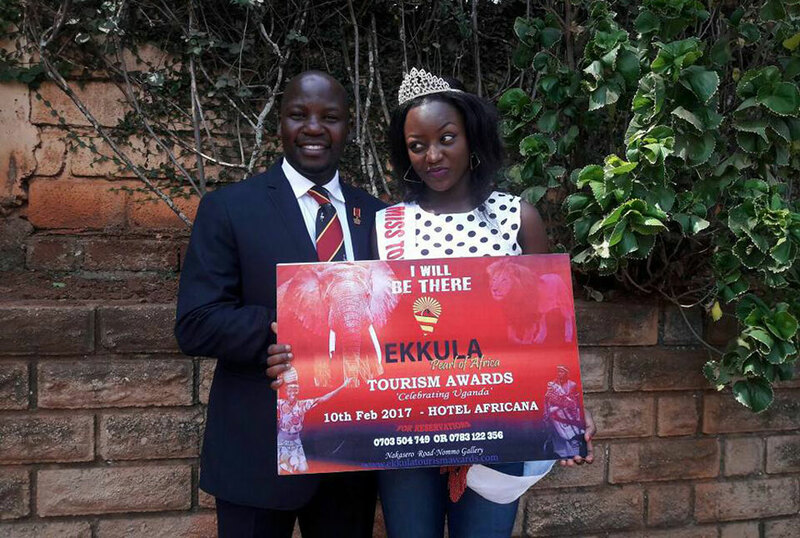 And now, we have the second edition of Ekkula Pearl of Africa Tourism Awards. The Awards championed by Bismac Moses Amumpaire first took place in February last year at Hotel Africana in Kampala. This year, they are back and promise to be better. During the launch of the awards last Thursday at the Media Centre, Kiwanda said he was happy that the private sector was coming on board to support the tourism industry in Uganda. “It is always good when we don’t wait for the government to do everything. We applaud individuals who have taken up tasks that foster development,” Kiwanda said. The Awards that will run under the theme Celebrating Uganda will take place on February 10 at Hotel Africana where different companies and Individuals will be nominated in the 30 categories available. Some of these categories include: Tourism Song of the year, Tourism Event, Traditional Cuisine Restaurant, Tourism Personality of the year and Standard Service Hotel among others.